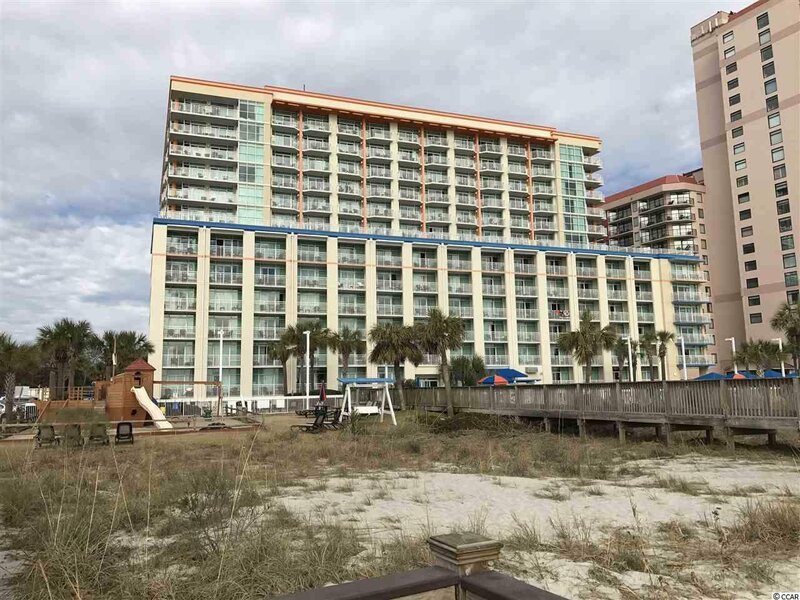 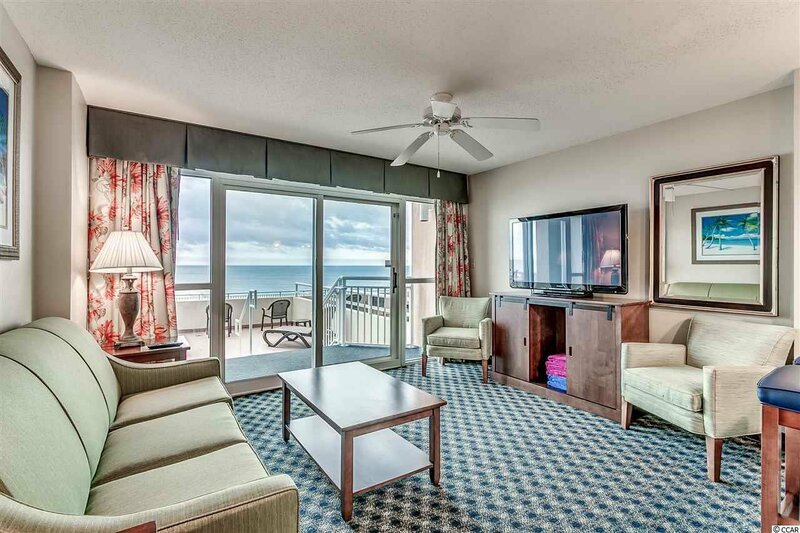 UNIQUE 1 bedroom oceanfront deluxe queen suite! 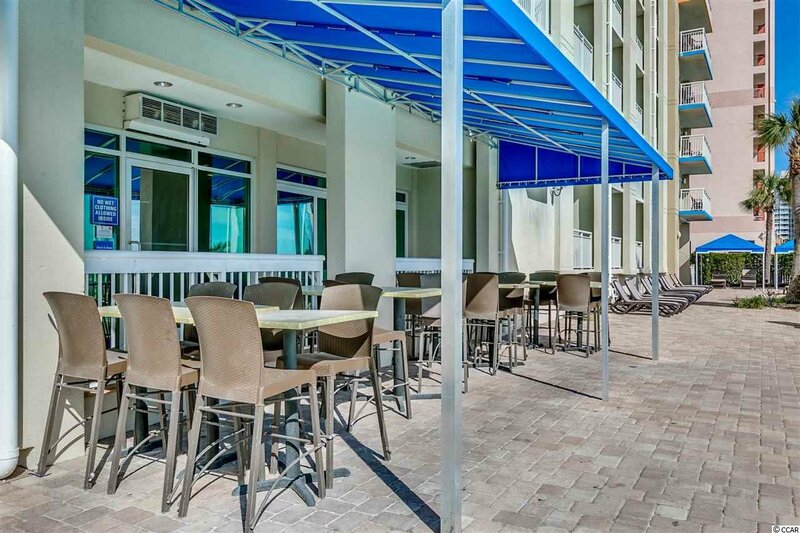 There are only 12 units in the entire 2 phase complex that offer an extra large extended balcony! 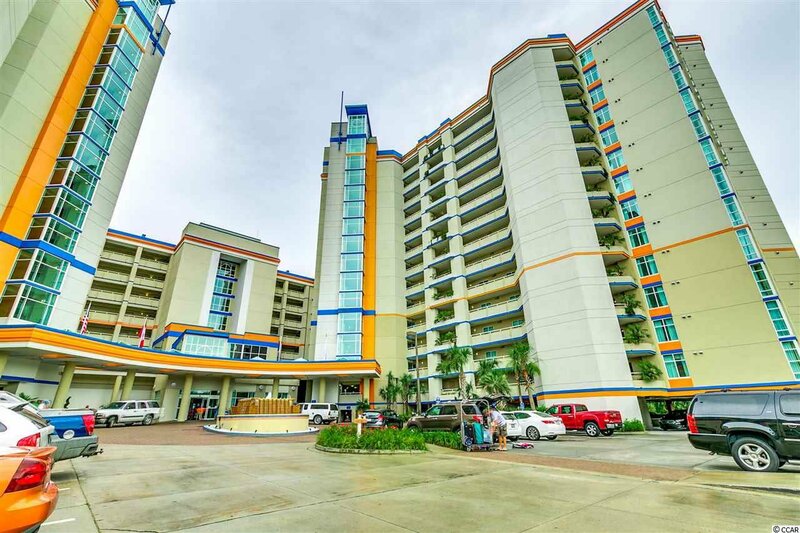 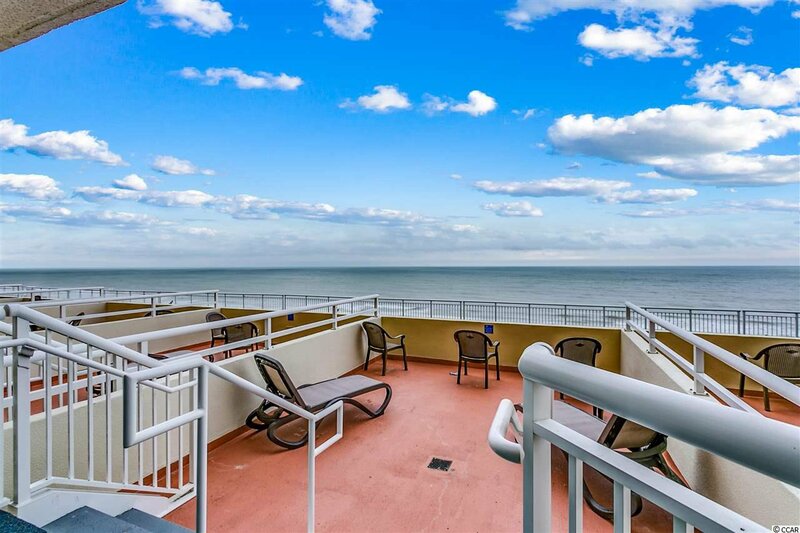 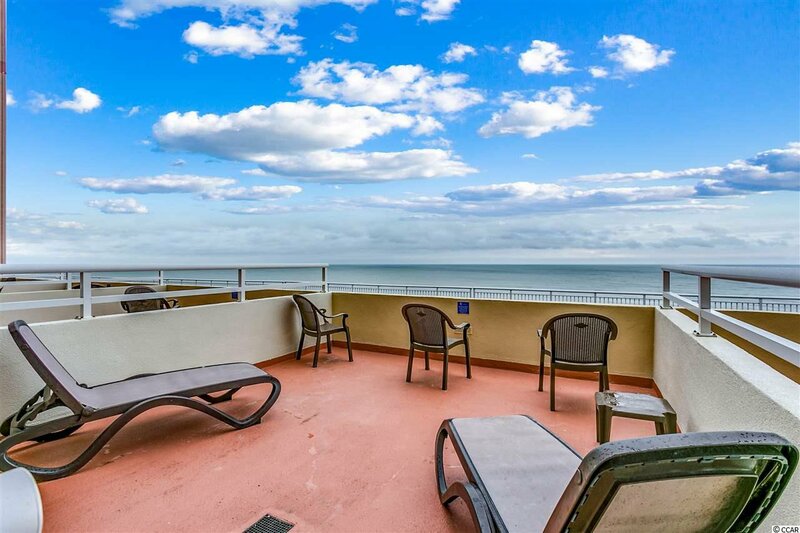 The balcony on this unit offers an additional 332 ft. of space! 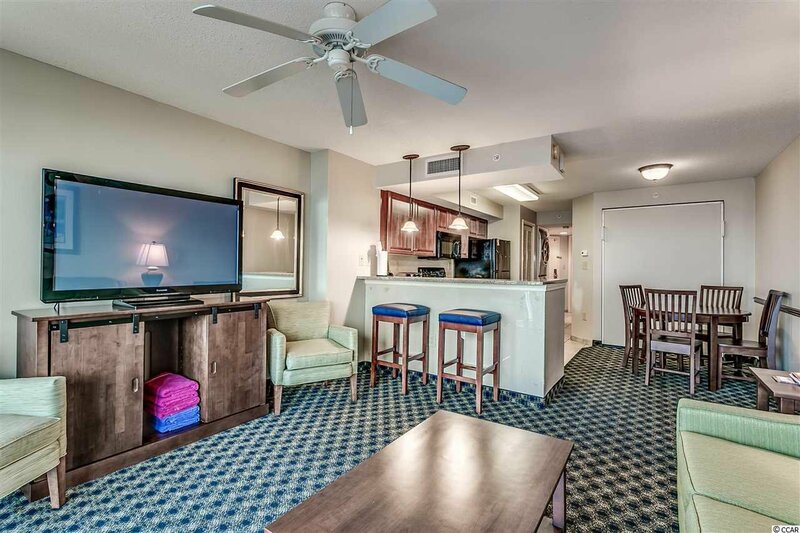 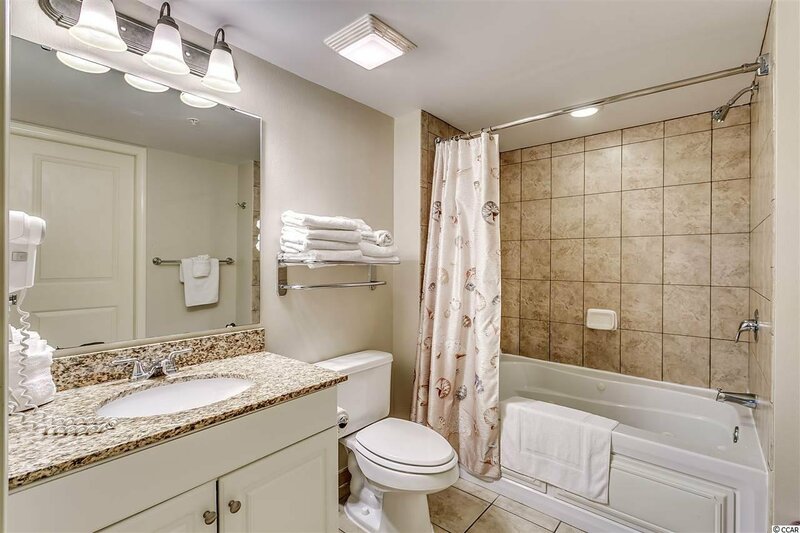 This large 1 bedroom condo offers a separate bedroom ( enter through foyer, not bedroom), nicely equipped kitchen (not a galley kitchen) with bar and bar stools, and living room, complete with murphy bed and fold out sofa! 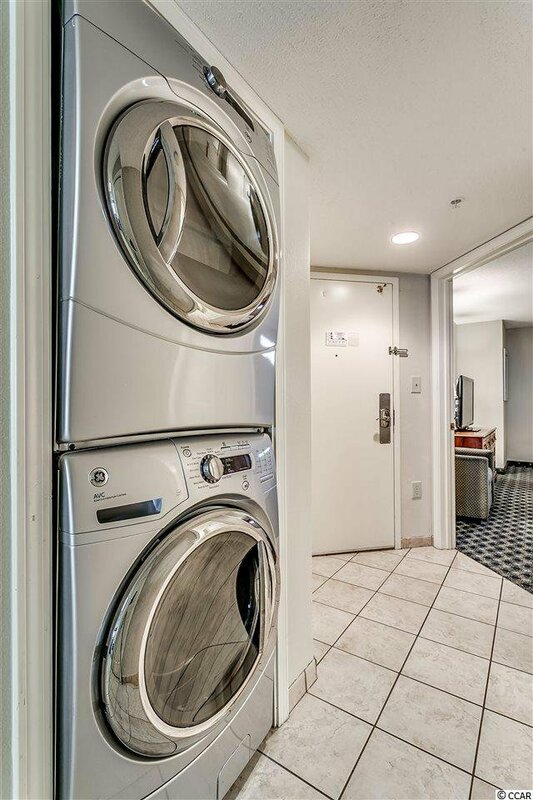 This unit can accommodate up to 8 people! 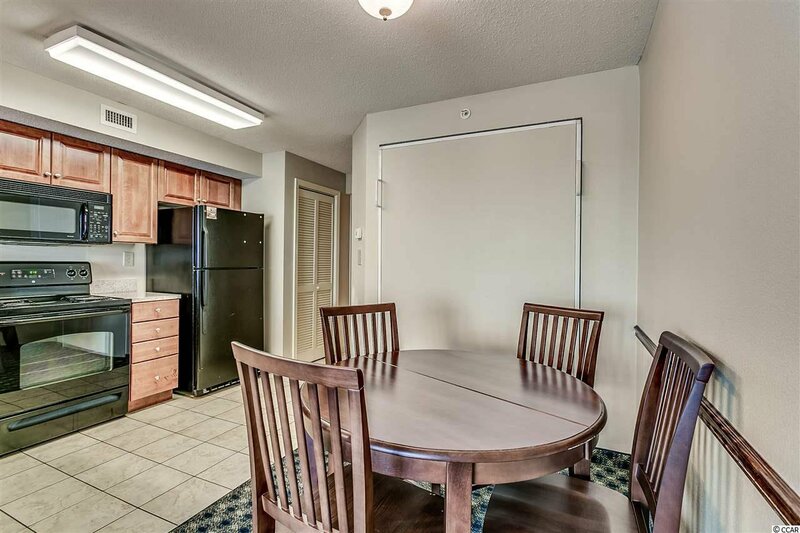 The interior of the condo was recently painted and up fitted with new furniture in the living room and dining room. 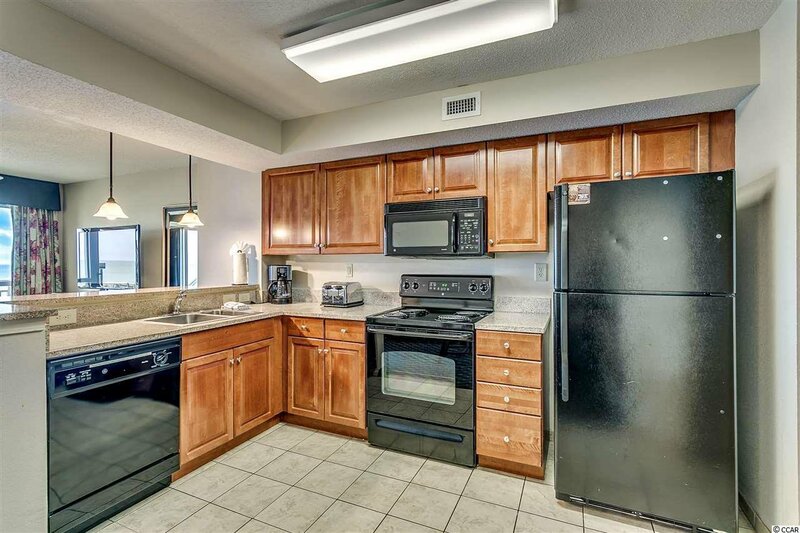 Additionally, new kitchenware was also purchased. 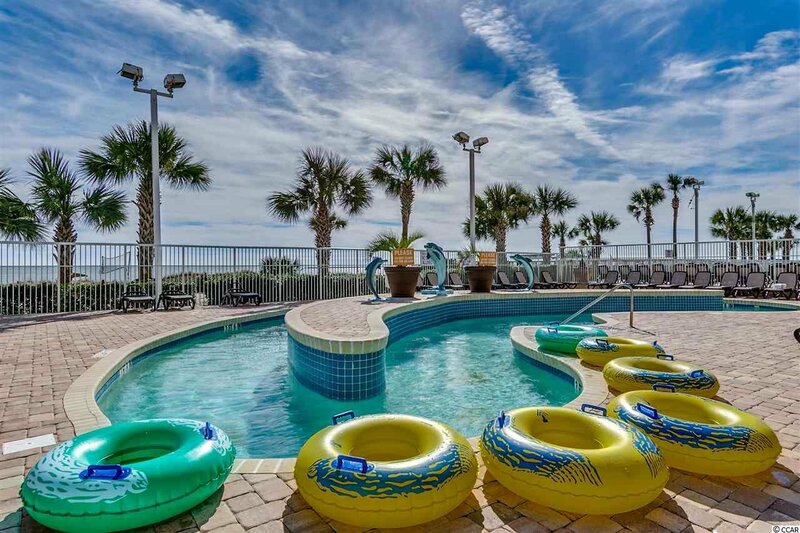 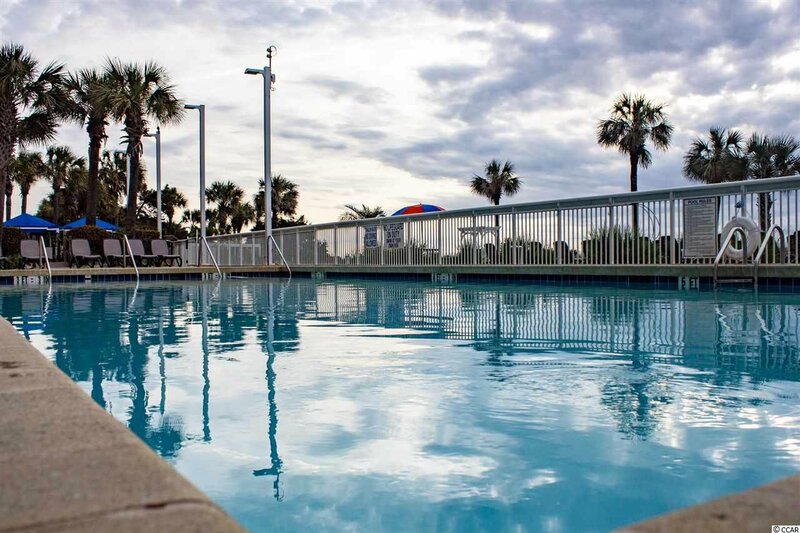 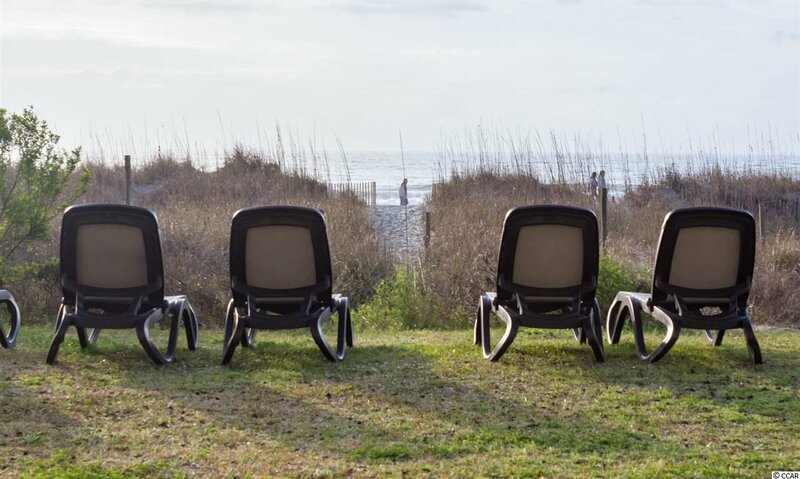 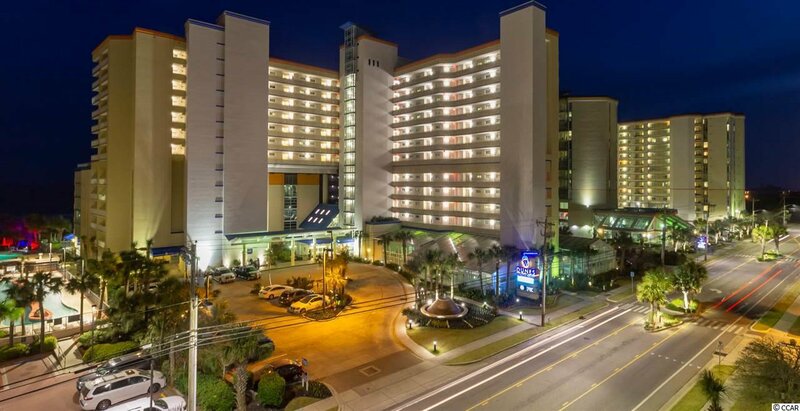 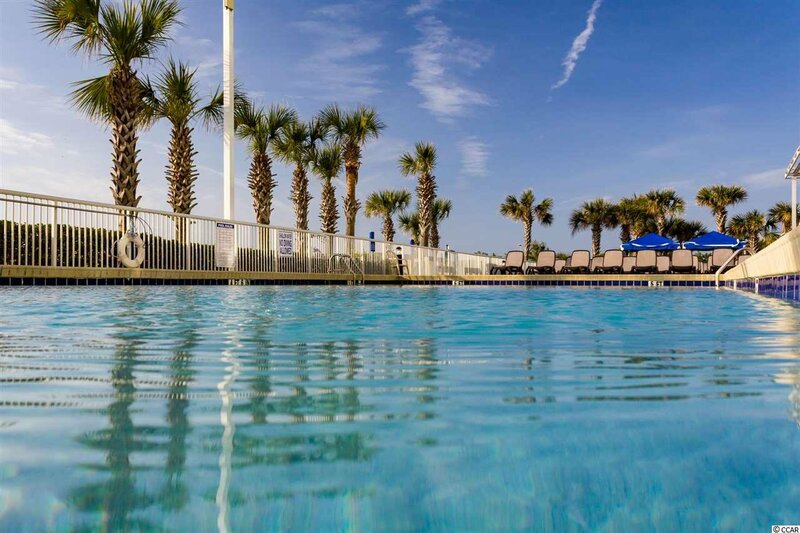 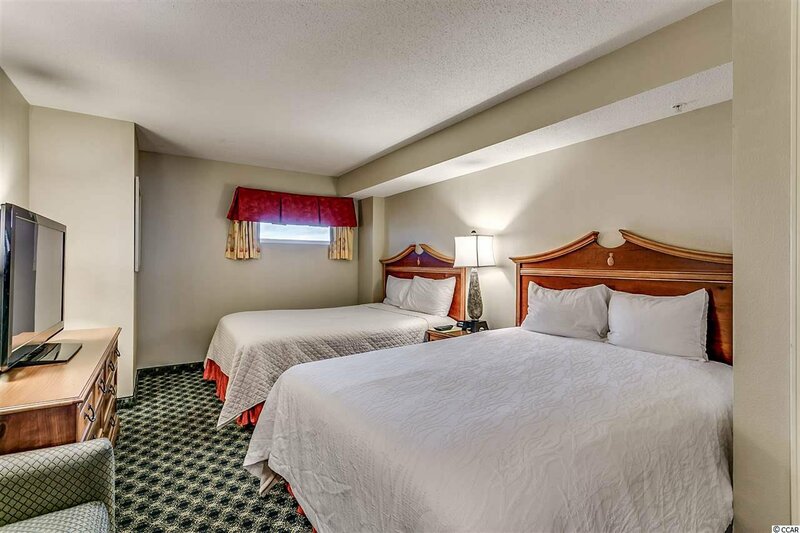 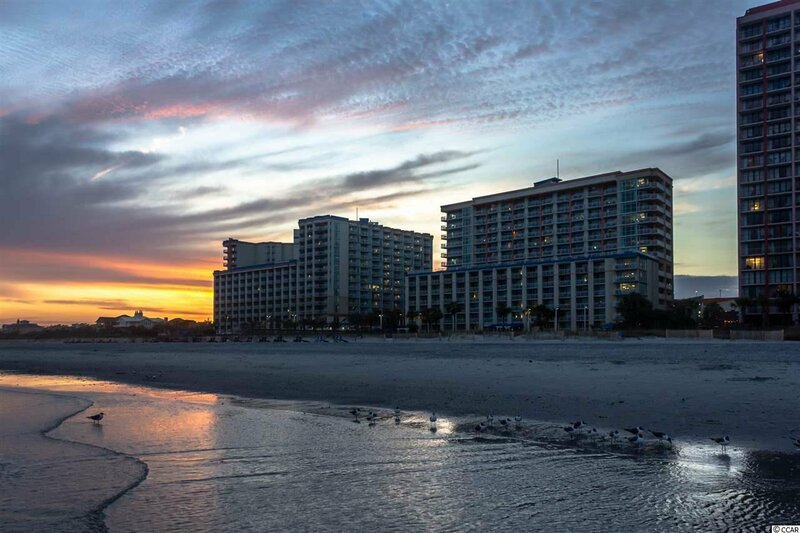 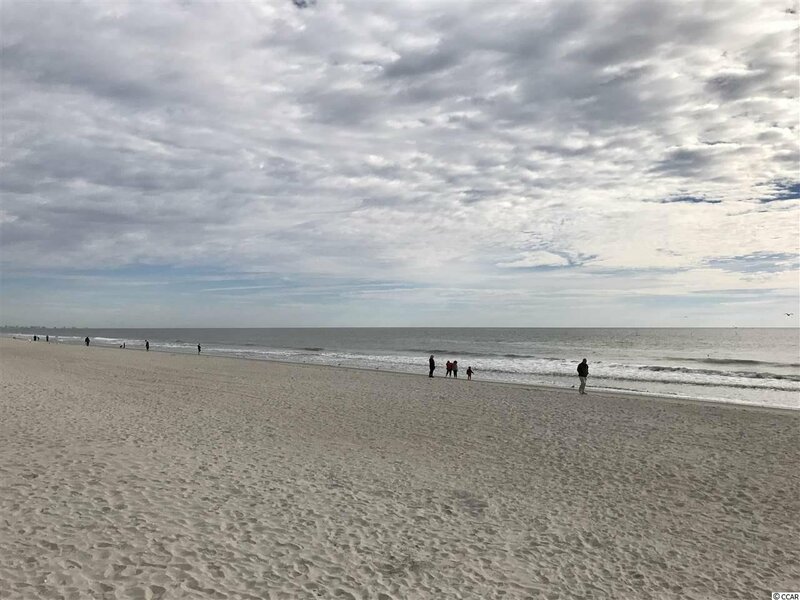 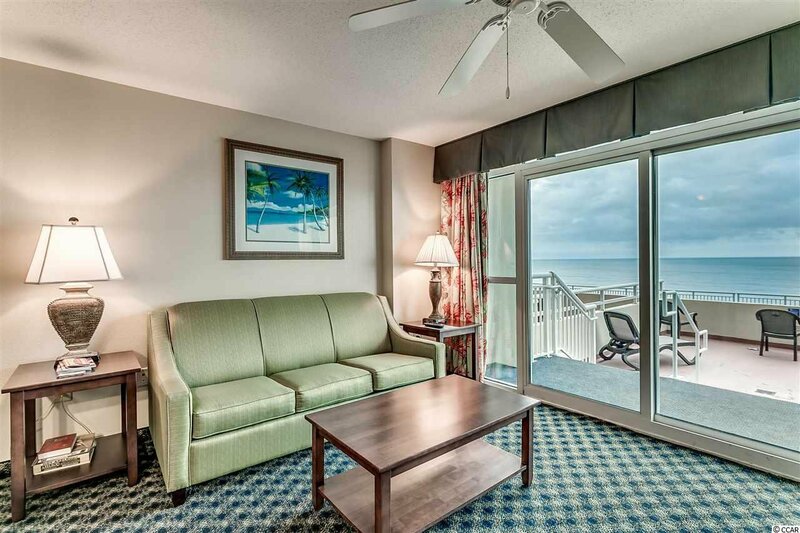 Dunes Village is a highly sought after resort and offers so much to their onsite guests! 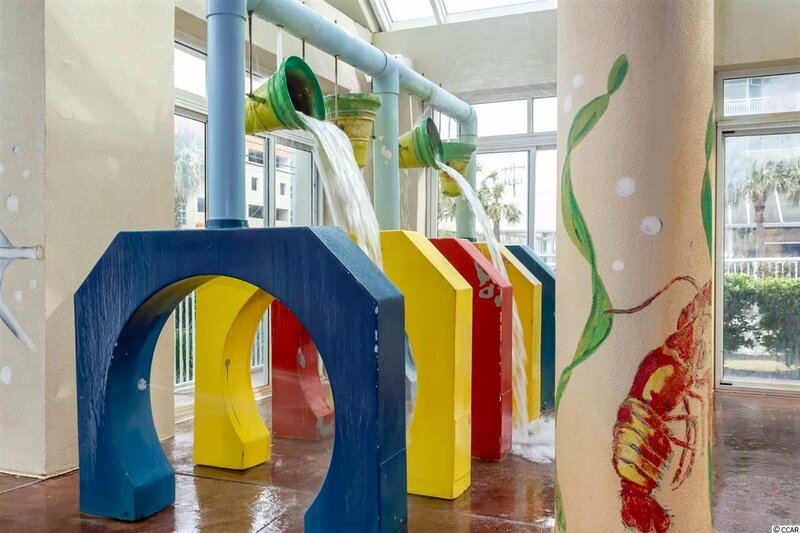 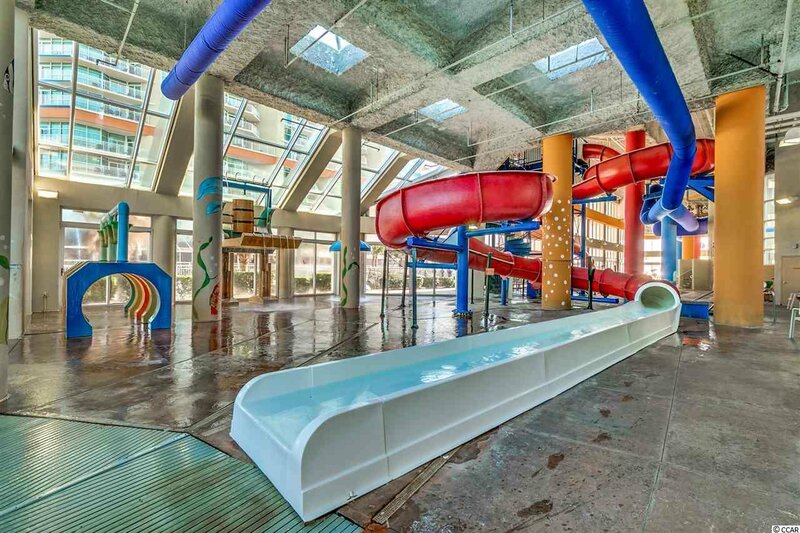 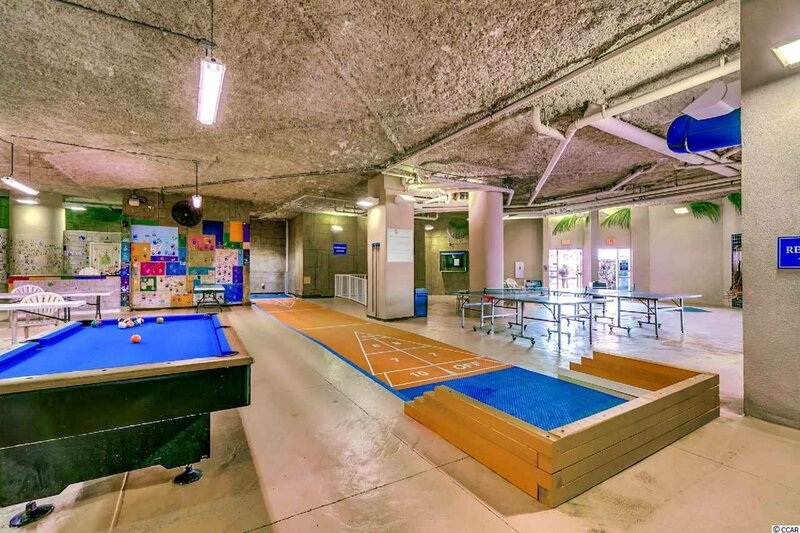 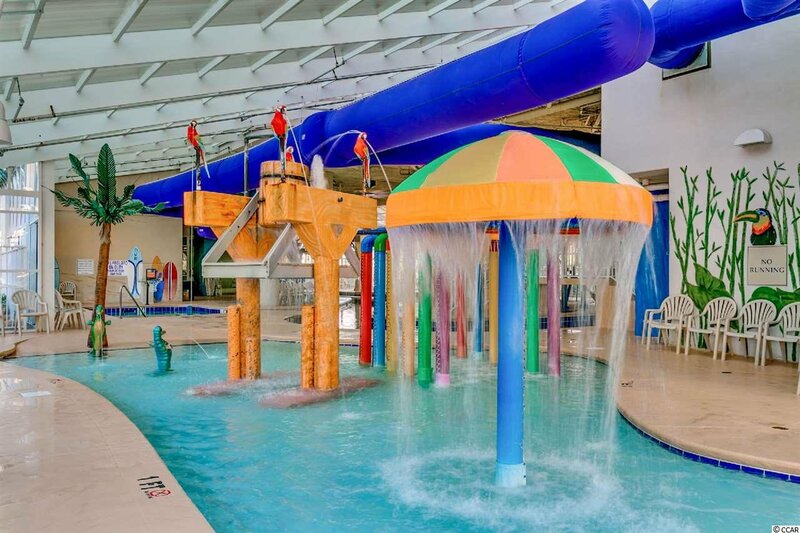 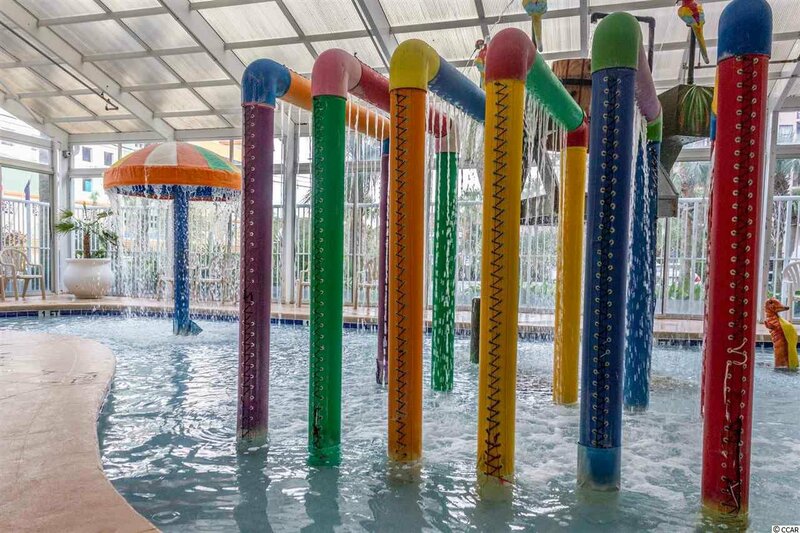 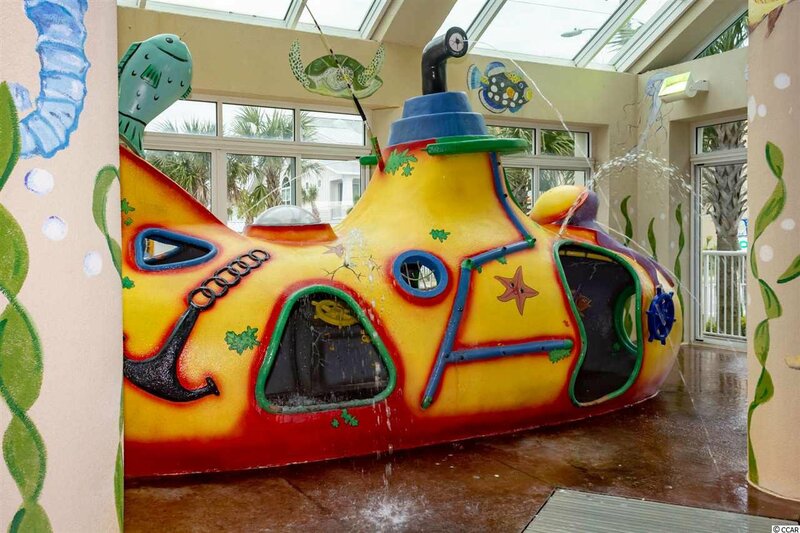 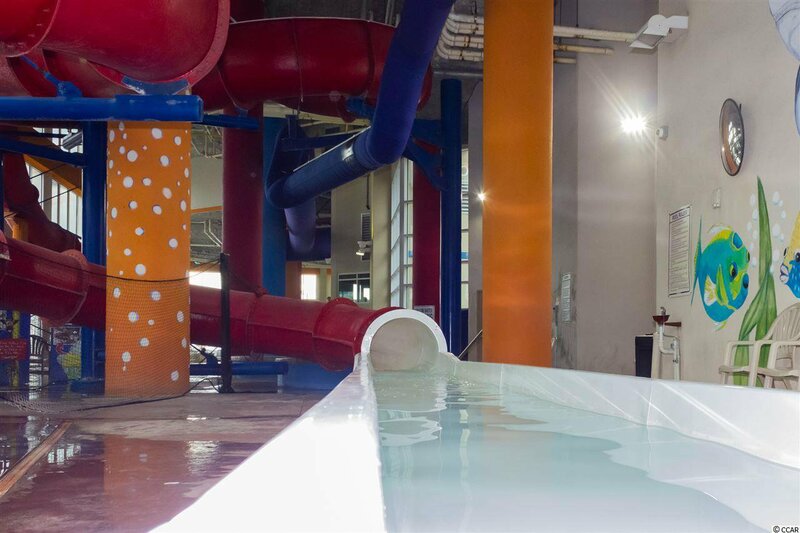 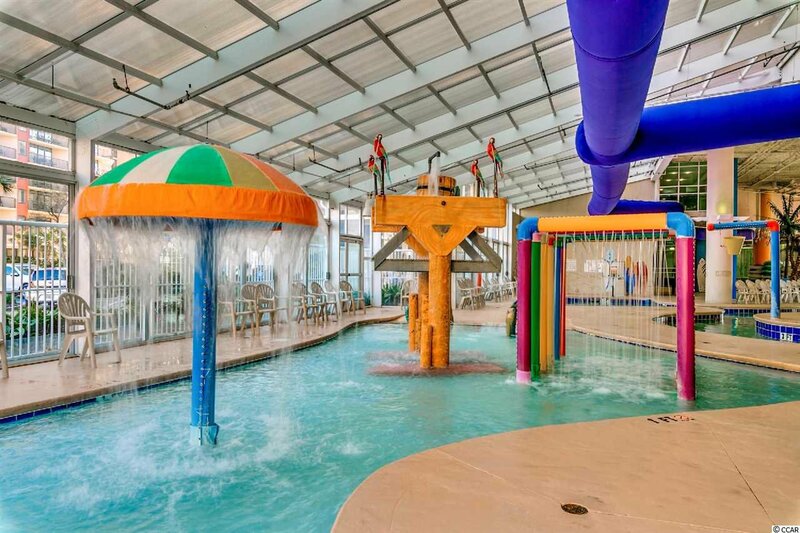 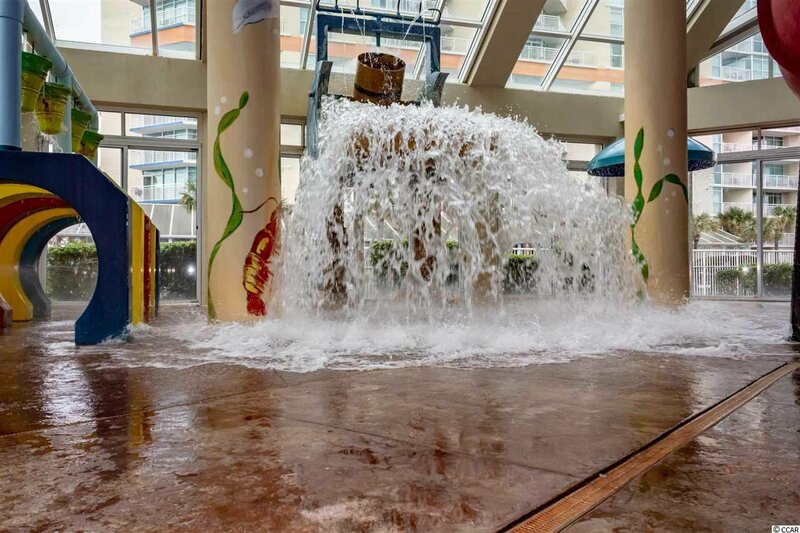 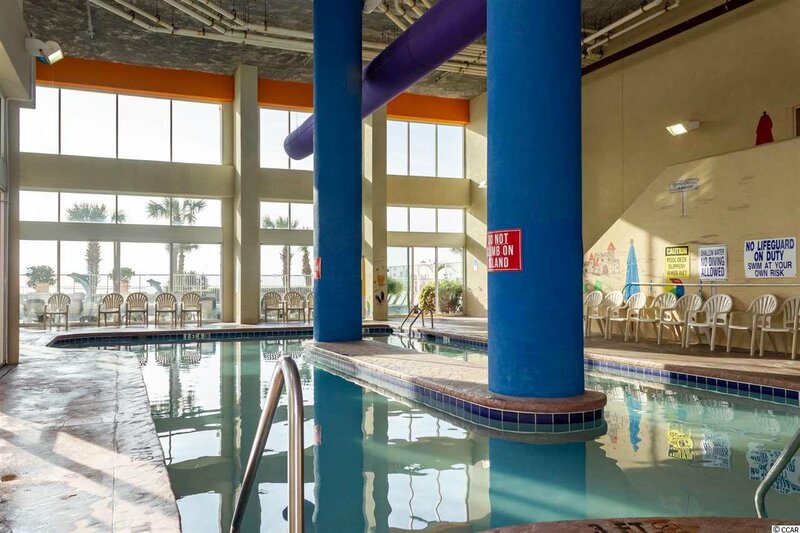 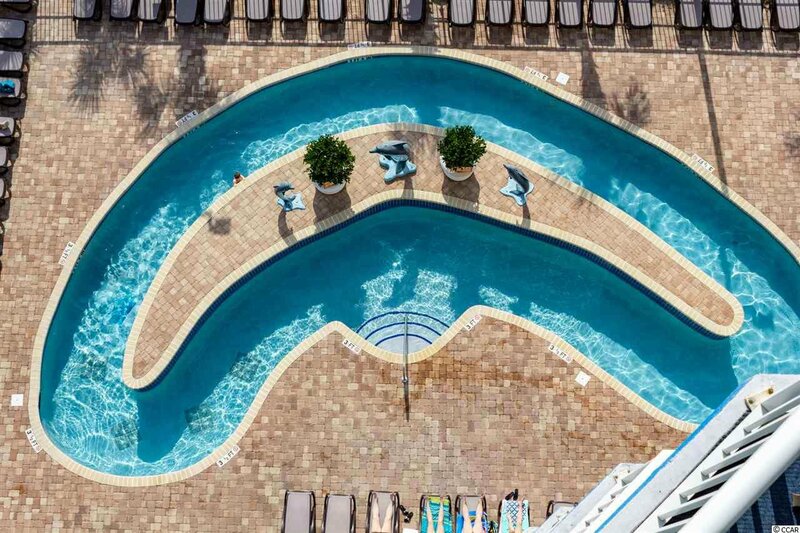 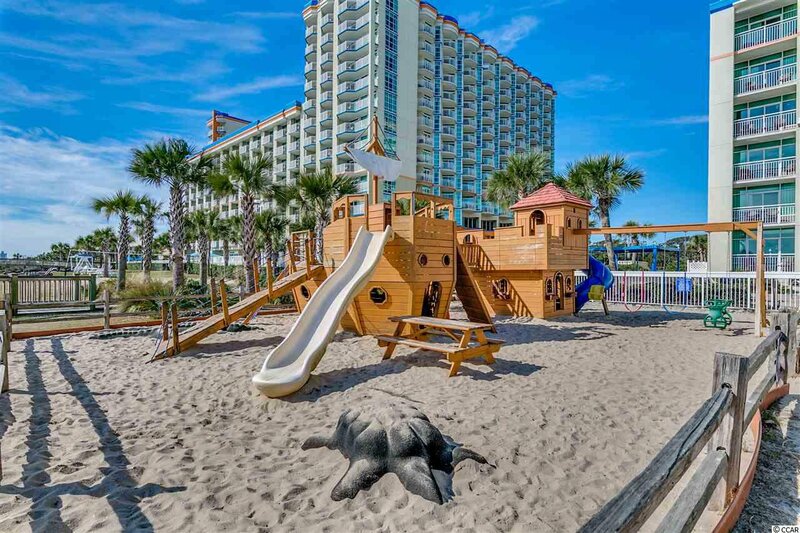 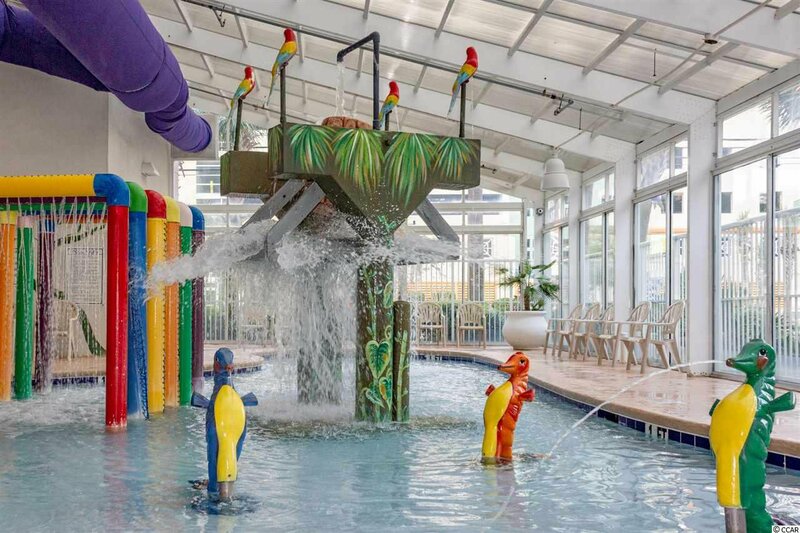 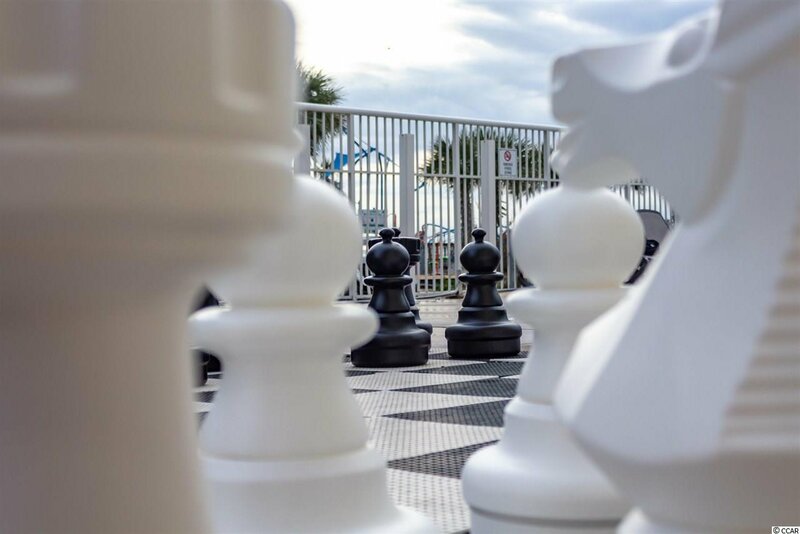 The complex includes 2 indoor waterparks complete with slides, lazy river, and water features for the kids, pools, hot tubs, outdoor lazy river, playground, coffee shop, restaurant, activities for children, etc. 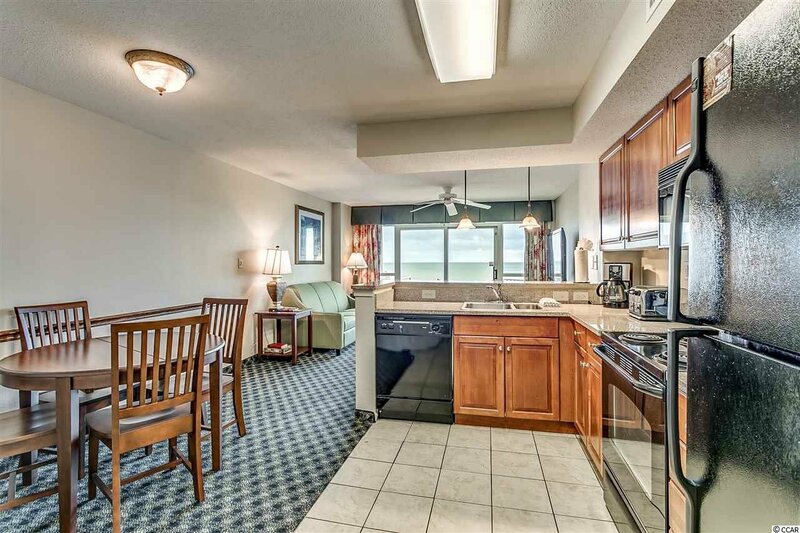 Excellent location, surrounded by single family homes to the south and west. 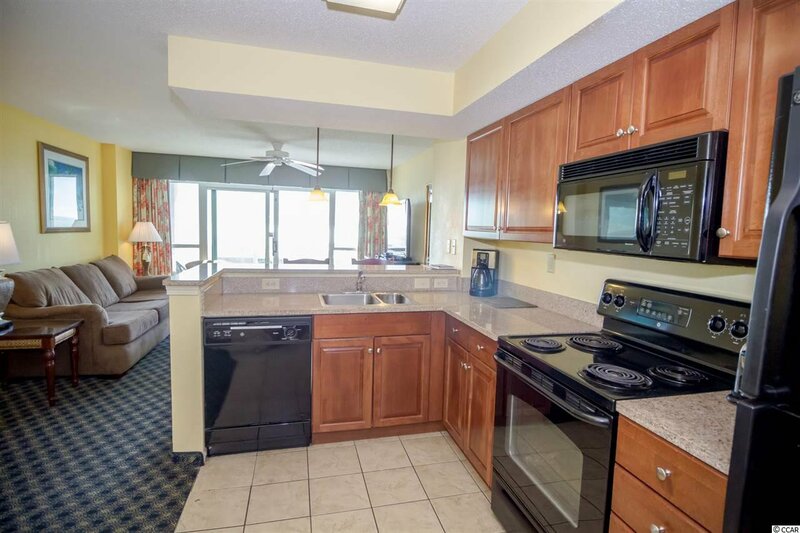 Excellent Rental potential! 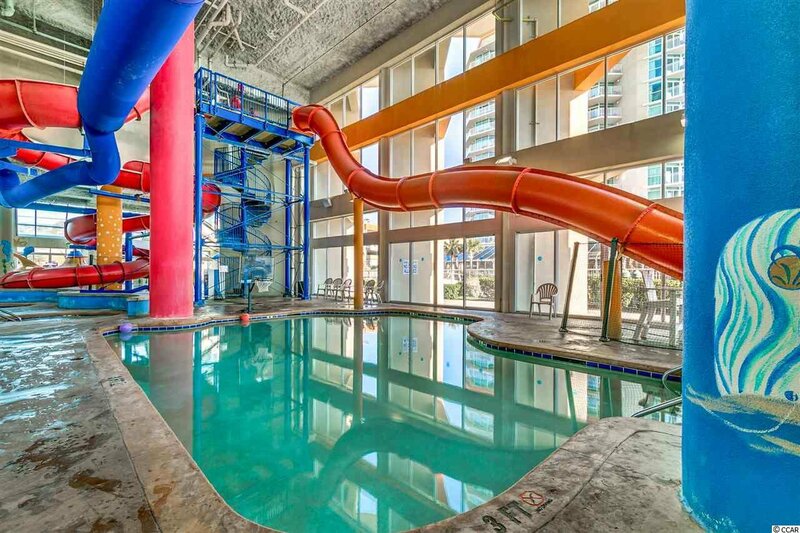 Ask for a copy of the impressive NET rental spreadsheet!